China dominates Nong Shim Cup: The second round of the 20th Nong Shim Spicy Noodles Cup was held in Pusan near the end of November. In the opening round, held in Beijing in October, Japan got off to a good start when Shibano Toramaru won the first game, but then Fan Tingyu of China took over and won the remaining three games in the round. His good form continued in the second round and he took his winning streak to seven before it was terminated by Park Junghwan. Incidentally, Fan also won seven games in a row in the 18th Nong Shim Cup. His career started at the top: he became the world’s youngest-ever 9-dan when he was promoted for winning the 7th Ing cup in 2013 at the age of 16. Nong Shim results are given below. Game 5 (Nov. 23). Fan Tingyu 9P (China) (B) beat Choe Cheolhan 9P (Korea) by resig. Game 6 (Nov. 24). Fan (W) beat Kyo Kagen (Xu Jiayuan) 8P (Japan) by resig. Game 7 (Nov. 25). Fan (W) beat Lee Sedol 9P (Korea) by resig. Game 8 (Nov. 26). Fan (W) beat Ichiriki Ryo 8P (Japan) by resig. Game 9 (Nov. 27). Park Junghwan 9P (Korea) (B) beat Fan by resig. The final round will be held in Shanghai from February 18 to 22. Japan and Korea are both down to their last player, but China still has four. Iyama defends Oza, ties record: The fourth game of the 66th Oza title match was held at the Ryugon inn in Minami Uonuma City, Niigata Prefecture, on November 30. This game was a kadoban for the challenger, Ichiriki Ryo 8P, but he responded to the pressure with positive play from the opening on and succeeded in taking the lead. In byo-yomi, Ichiriki (black) was confronted with a position that looked like a crisis for him, but he managed to survive it and scored a win by 1.5 points. Ichiriki failed yet again in his fifth challenge to Iyama for a title. This was the first time he got so close, but that probably made the result all the more frustrating. Ke wins Samsung Cup: The best-of-three final of the 23rd Samsung Cup was played in Korea in early December. 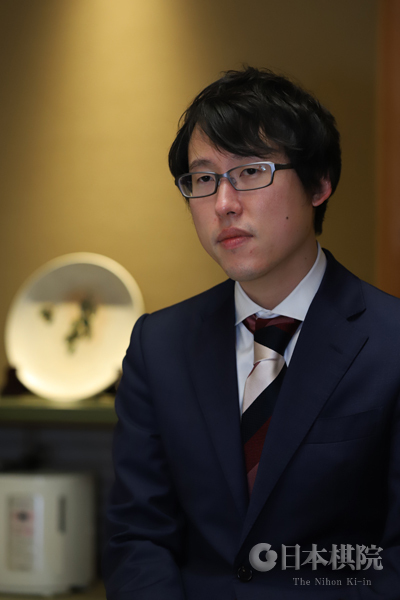 It featured a clash between Ahn Kukhyun 8P of Korea, bidding to win his first international title, and Ke Jie 9P of China, who was hoping to pick up his sixth. In the first game, played on Dec. 3, Ahn Kukhyun (W) won by resig. In the second game (Dec. 4), Ke Jie (W) won by resig. In the decider, played on the following day, Ke (W) won by 5.5 points. He earns a prize of 300 million won (about $268,000). Apparently Ahn is now slated to do his military service. Depending on which arm of the military he’s in, the period is from 21 months to two years.